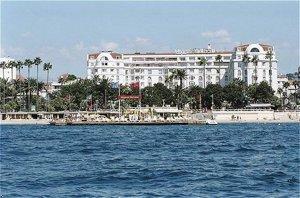 Choose from our wide selection of hotels located in and around Cannes. Whether you’re looking for budget hotels, resorts, or luxury hotels, you’ll find the best accommodations at the best prices. Stop wasting time and make your reservations online now! 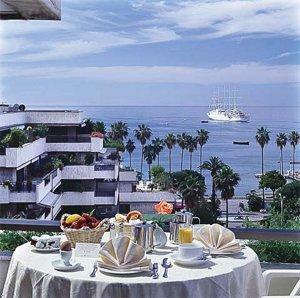 The Hotel Amarante is situated in the heart of Cannes. Ideal for business or pleasure,the hotel has the intimacy of a small hotel with deluxe service for your every need. The hotel offers 70 rooms and 1 suite in a warm and elegant 'Ambience', each beautifully decorated in a blend of Southern French and modern style. 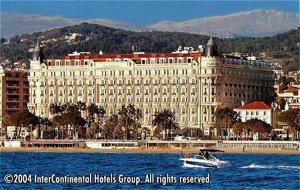 The hotel InterContinental Carlton Cannes is the most legendary 5-star deluxe hotel in Cannes. Its facade, registered as a "Historical Monument", became a reference point in the city landscape of the French Riviera, and is recognised all over the world. The Carlton, with its unique waterfront location offers unrivalled views over the bay of Cannes. 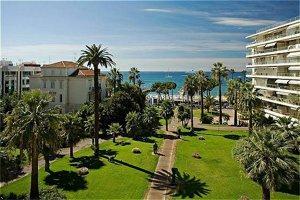 A new charming 3 star Hotel, decorated in "style Provencal" in the heart of Cannes with a beautiful garden. The Hotel offers: Piano Bar, Lounge, Meeting Room, Private Garage, ideal for Businessmen & Travllers. The Grand Hotel was completely renovated in 2006 in a post-modern architecture of the sixties with a contemporary touch. Ideally situated in the city centre near to the Convention Center separated from La Croisette by its green gardens, the hotel provides a private Beach, a Bar LeCercle and a Restaurant. In the heart of Cannes, right by La Croisette and the Mediterranean Sea, the Hotel Gray d'Albion combines every modern comfort and amenity with the tradition and elegance of a luxury hotel. Most of the hotel's spacious rooms have a balcony overlooking the old city or palmed central courtyard. The hotel's Le Royal Gray gourmet restaurant is one of the most highly acclaimed in Cannes. With eighty percent of the rooms having a sea view, the recently renovated Majestic is one of the most exclusive resort hotels in the world. This legendary palace is located on the beautiful Avenue La Croisette, directly facing the Mediterranean Sea, and just a few steps from the famous Palais des Festivals. The highest level of personalized service, combined with discreet and friendly efficiency, make the Majestic one of the most distinguished addresses on the French Riviera. Located a few minutes walk from the Palais des Festivals and La Coisette, Le Cavendish is situated in the heart of Cannes. Far away from the crowd but in the heart of the city, Le Cavendish is an alternative for travellers who care for tradition and details... not least, a highly personalized service. The concept of the designer has been to recreate the ambiance you could find in these private "demeures" at the end of last century.